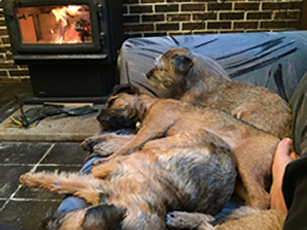 Our Border Terriers are from Champion Bloodlines of British imports and Canadian stock. Carole is a member of the Canadian Kennel Club, Natural Rearing Breeders Association, Border Terrier Canada, Border Terrier Club of Ontario and Western Border Terrier Group. She is also Manitoba’s representative for the CBTW (Canadian Border Terrier Welfare). Our Borders are first, and foremost, our loving companions. Other then enjoying the show ring and traveling, our dogs love spending time doing what comes naturally. Keeping varmints out of our home and their fenced in play area. Camping, chewing on meaty bones, raising their litters and helping with their pack litters. They love visitors, sharing our home, couch and bed with us. Our kennel is situated on 5 acres south east of Winnipeg Manitoba, Canada. We are not a large kennel. We breed for health, temperament and conformation. 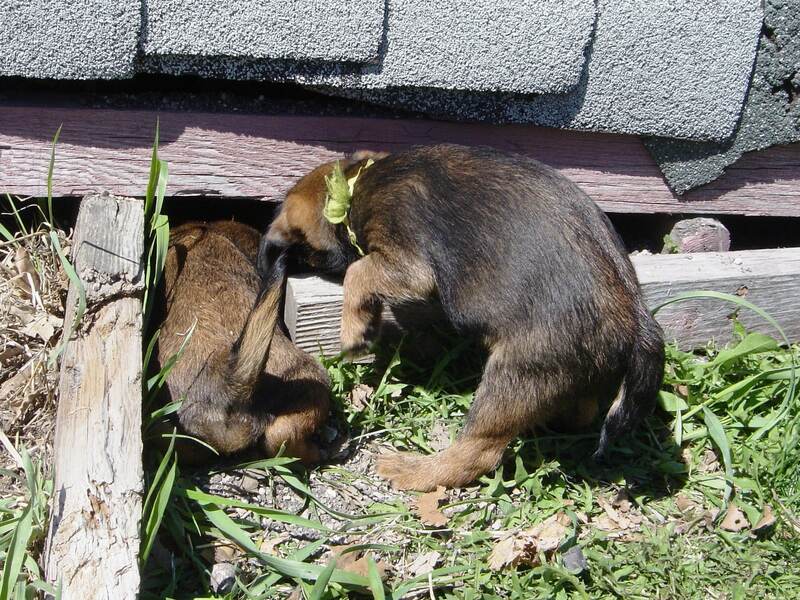 We have been owned by Border terriers since Jan 14th 1994. Our Borders are the progeny of British imports and Canadian stock. They come from a long line of champions. Our borders are shown to their Canadian Championship and when we have the time they get shown in the United States. Our Borders are first, and foremost, our loving companions. Our dogs and puppies have been naturally reared since Dec 2000. Our choice of medicine is Homeopathy, Herbs, Australian Bush flower Essences, Essential Oils, etc. All natural comes first in our kennel, then, conventional medicine if need be. We will attempt to point out how elements of the Border Terrier personality and conformation stem from its breeding and as a “working terrier”, and yet adapt well for family living. These same elements will make zealous Border fans and guardians. Borders tend to be “entrusted to families,” and not just sold to anyone who has the price. © 2017 Boldwind Border Terriers. All Rights Reserved.